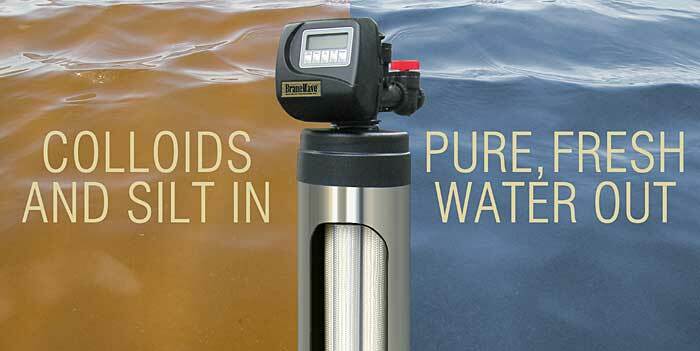 SWT's BraneWave UF System removes suspended solids, colloids (colloidal silica, colloidal iron, colloidal clay, biological slimes, etc), and fine silt particles that prematurely clog traditional filtration cartridges and foul ion exchange resins, multimedia filters and clarifiers. It is extremely effective in shallow well applications, as part of a multi-barrier treatment of surface water (sea water, lakes, rivers, fresh water bodies), and for pretreating RO feed water to increase membrane life and lower operating costs. This filter is also designed as a barrier to cysts (Giardia Lamblia and Cryptosporidium), bacteria, and virus. Copyright 2014-2019, Safe Water Technologies, Inc.